When you don’t have a good man beside you, has God cheated you? Do you think abundant life will only come after you marry? If you’ve asked these questions, this book is for you! Set in the charm of Ireland’s countryside and coastline, and sprinkled with true stories, this book shows women how to live with Purpose…Passion…Promise. You will identify with these stories, questions, and dreams, and feel that you are not alone as you’ve feared. You will find that God’s desire for you is to live decisively and purposefully instead of merely putting in time or endlessly swimming circles in the fish bowl. Because life is for living, not for waiting around! This second version with the leaping fish cover has a thoughtful study guide for your own processing or a group discussion. I have started reading your book and I’m only thru the first two chapters, but it has been so good already! I’ve been wanting to start a book study, or something of the nature, with some younger girls in church, and I feel maybe I have come across the right book at last. I’ve been blessed and I pray you would continue to live life to the fullest! Thank you for letting God use you! Yes, thank you so much for your book. I’ve read it….. um, I don’t know how many times, and it has blessed me so much and has helped to bring healing and purpose to my life. It expresses so well what I actually know in my head, but is sometimes hard to feel in my heart… and oh! I DO want to live fully, for Him. I just wish this book was in Spanish, to share with my girlfriends here. I have enjoyed your book so much! Thank you so much for using your gift of writing to encourage me and so many other people! May you be richly blessed! Have you ever thought of doing an e-version? You’ve been overseas and I’m sure you know the frustration of too many books to fit in a fifty-pound suitcase. I’ve been solving that problem with my Kindle (although I’ll admit, it’s still not a BOOK, and I miss that). I think you would probably reach a bigger audience, and get to spread your influence and God’s just a little farther. My opinion for what it’s worth! Well, I’ll keep it in mind! Thanks! Although I am a wife and mother of 5, I thoroughly enjoyed and appreciated this book! I’ve also had seasons of waiting, times when I had to make the conscious choice to LIVE. 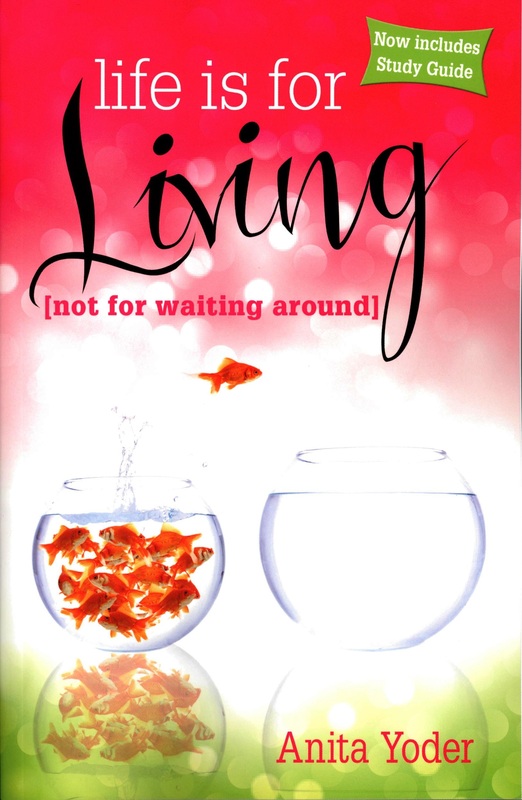 And, this book gave me insight and a better perspective to encourage my dear friends who are living the single life. God bless you, dear author.